Lots of good forex trade setups on the majors this week! This time I’m focusing on EUR/USD and USD/CHF. How about you? 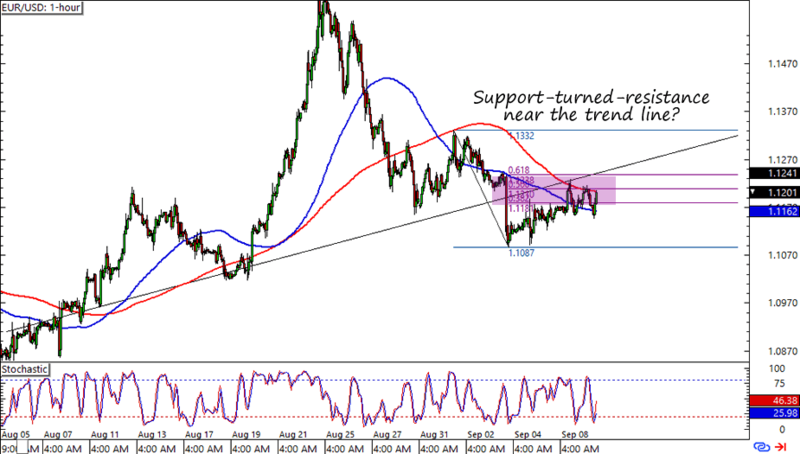 First up for this week is EUR/USD’s possible resistance at 1.1250. Not only is it a minor psychological handle, but it also lines up with broken rising trend line that might turn into a resistance zone. On top of that, it’s the area is also near the 50% and 61.8% Fib retracements on the 1-hour time frame. The cherry on top of the bearish sundae though, is that it’s also near a 200 SMA resistance. What do you think? Will we see more dollar gains as the Fed’s September monetary policy statement approaches? Here’s a simple pro-dollar setup for ya! 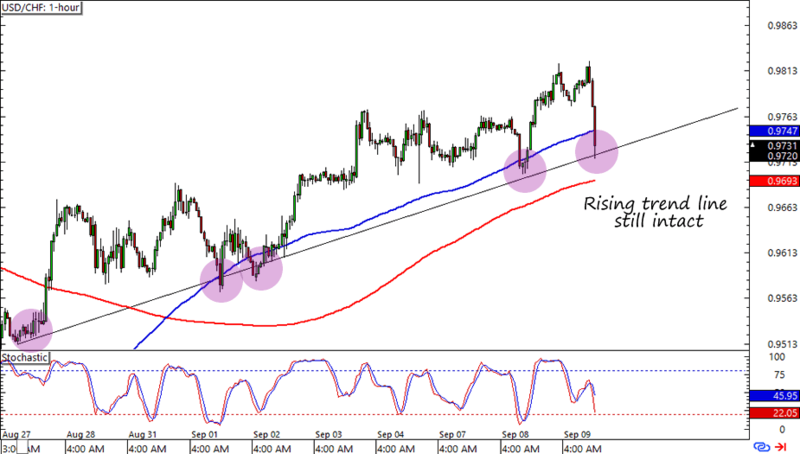 USD/CHF is currently testing the .9725 area, which is right smack at a rising trend line on the 1-hour chart. Not only that, but it’s also near the 100 SMA support. A stop just below the 200 SMA might be a good long trade if you think that the pair would make new highs this week. That’s it for my possible trades this week! How about you? Which pairs and setups are you looking at?